As a chef and teacher, I have had the pleasure of working with more than 3,500 children in cooking camps, school programs, and workshops. If you’re interested in teaching your child to cook, I have some great suggestions of recipes kids love at our Rooks To Cooks summer camps. From my experience, the recipes here are ideal for children to make because they’re simple and they involve repetitive, assembly-type actions. The more kids practice repetitive actions themselves, the more quickly they master fine motor skills and build confidence. They won’t gain that muscle memory by watching someone else—or get that same sense of accomplishment. These recipes are also great for kids because they are fairly low-risk in terms of injury, which allows your child to take more ownership of the food prep and eventually work through their tasks independently. These are some of the recipes kids love to make most at our summer cooking camps. They are chef-tested (by me and my sous-chefs) and kid-tested by 2,300 chef campers as young as age 6 up through age 16. A super-versatile traditional Greek dish, these little spinach and feta pockets are perfect for any time of the day—as a delicious starter, a midday snack, or light dinner. 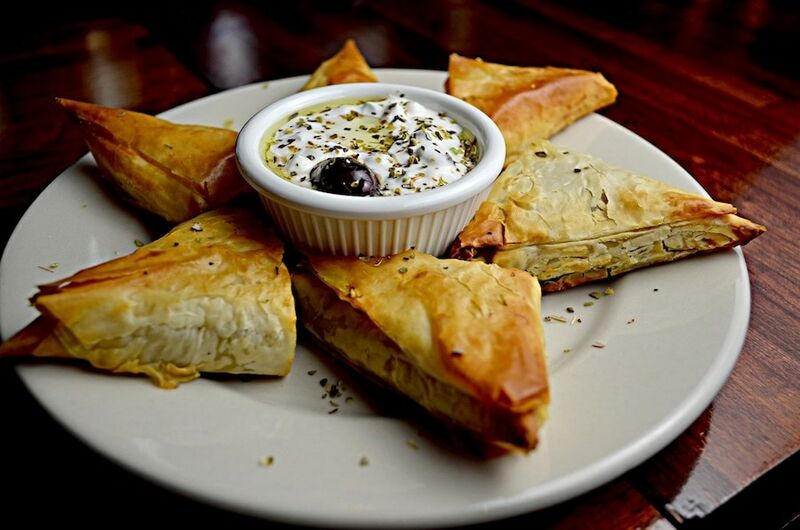 They are the perfect assembly-line dish: brush phyllo with butter, add layers one at a time, cut triangles, add filling, fold, repeat. From our experience, kids really get a kick out of seeing the pastry puff up and are over-the-moon excited to dig in…despite the fact that it’s about 60% spinach! Potstickers are a type of Chinese dumpling typically eaten with a sweet soy glaze or garlic ginger soy sauce. 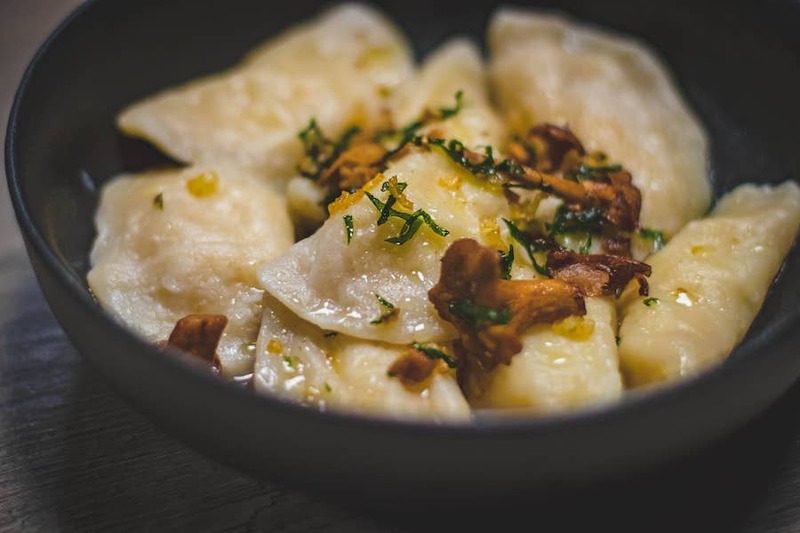 Whether you purchase pre-made wontons or decide to prepare your own dough, your kids will love assembling, cooking and eating these deliciously flavourful pockets. Making potstickers is a perfect family cooking activity to do together, as you’re going to need all hands on deck to make enough for dinner! 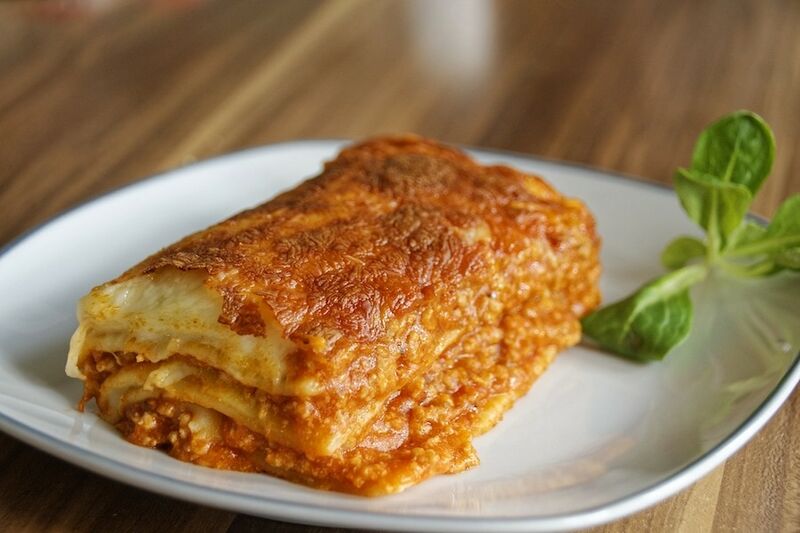 Lasagna is a pasta dish comprised of wide, flat pasta stacked with alternated sauces, cheeses, meats and/or vegetables and sometimes topped with melted grated cheese. Kids particularly enjoy the pattern of assembly. They like taking their time to spread the sauce, sprinkle the cheese, add in the meats or vegetables and topping it all off with the pasta. It’s fun to watch their faces light up when the first cut is made, and they get to see all their hard work on their plate. 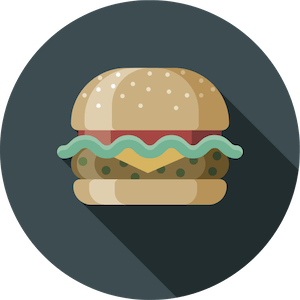 Homemade burgers of any kind are another yummy dish to make with your kids. They are quick, versatile and perfect for meal prepping! 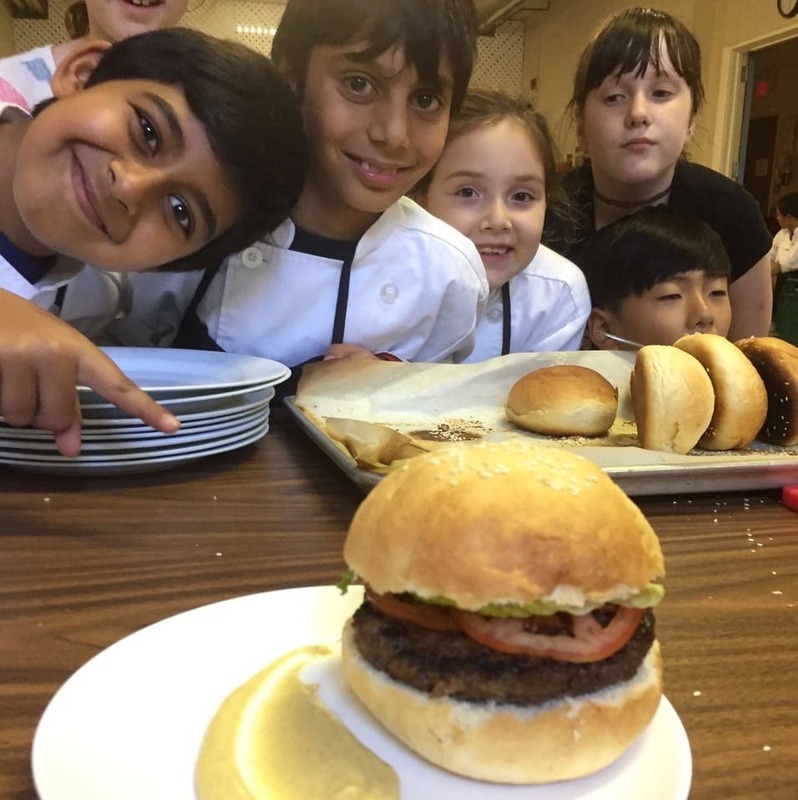 Our students absolutely love our chipotle black bean corn burger patties which we serve with chipotle aioli and fanned avocados at our camp. Feel free to use our recipe and prepare them with your family at home. Get the recipe. 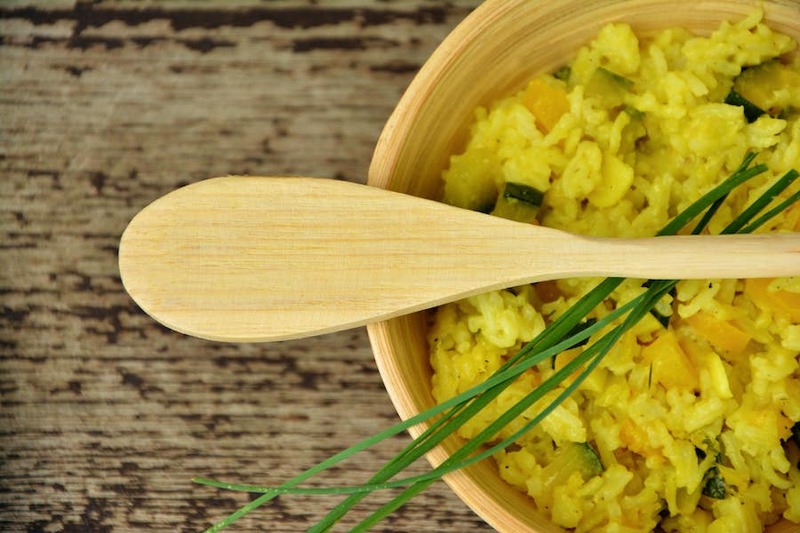 Risotto is a northern Italian rice dish cooked with broth until it reaches a creamy consistency. The broth can be derived from meat, fish, or vegetables. Many types of risotto contain butter, onion, white wine, Parmesan cheese and essentially any vegetables your heart desires. Kids love to stir in the stock and watch as the rice absorbs all the liquid. It smells and tastes amazing. 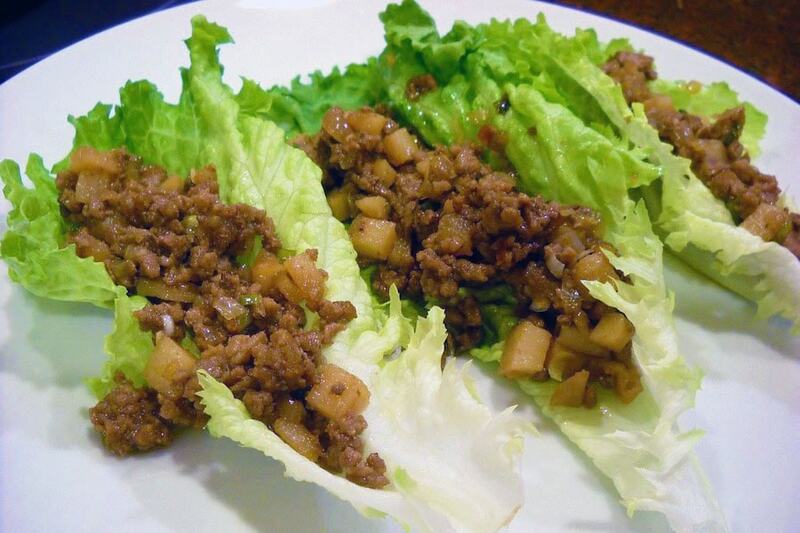 Lettuce wraps are typically comprised of a seasoned ground meat mixture eaten in a crisp leaf of lettuce. This dish is quick to make and super fun to eat. Kids love assembling each bite and the interactive nature of this dish helps even the pickiest of eaters open their minds to the greens. 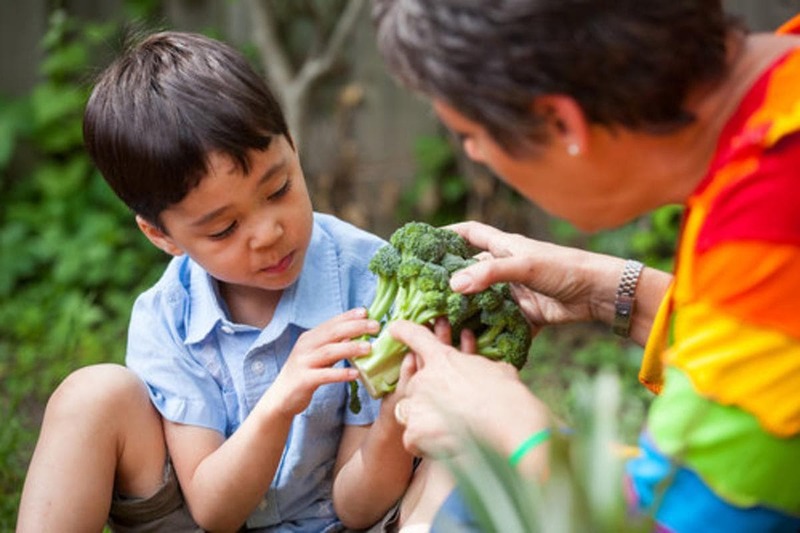 After all, we all want our kids to eat more veggies! 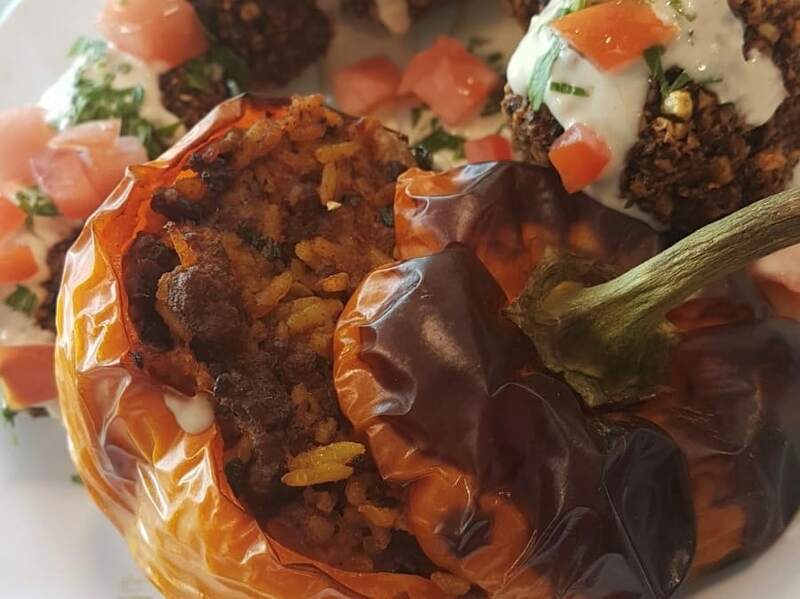 Dolmeh felfel is a Persian stuffed pepper typically prepared with ground meats and rice, but it can easily be prepared with lentils as a vegan alternative. Not only is it jam-packed with flavour, but it’s also nutritious, delicious, and fun to make with kids. Children enjoy preparing the pepper vessel, cooking off the filling and stuffing the peppers to the brim. Once stuffed, it doesn’t take long before the aroma fills your home building the anticipation to dig in! Cooking with your kids doesn’t have to be complicated. It’s best if the recipes are simple and require some repetitive steps to help kids practice and feel more confident with their abilities. The best part, of course, is eating the final product—and it always tastes so much better when they have helped make it. Heat olive oil in a small frying pan over medium heat. Sweat onions until clear. Add spices and cook until oil changes colour. Transfer onions and spices to a medium mixing bowl. Add the black beans, cooked rice, and corn kernels to mixing bowl. Add the barbeque sauce and egg. Using a fork, mash the ingredients together until well combined. Add the breadcrumbs. Using a rubber spatula, fold to combine. Season with salt and pepper to taste. Divide the mixture into four parts, then form into four equal size balls (ideally by weight, using a digital scale). With your hands, shape the mix into firm patties. Heat canola oil in a cast-iron pan over medium heat. Add the patties and fry until golden and crisp (4–5 minutes), flip and repeat on the other side. Assemble on a bun, with your favourite garnishes. I suggest a chipotle aioli, with a fanned avocado, lettuce and a slice of tomato. Children's cooking and baking summer camps, after-school programs, school workshops, and birthday parties. Lessons are hands-on, team-based, educational, and fun!